During the past few years, several East Bay cities have sparked controversy with plans to purchase and install surveillance cameras and license plate readers on major thoroughfares. Privacy activists have raised concerns that this surveillance technology could be shared with the U.S. Immigration and Customs Enforcement agency (ICE) and be used to target undocumented immigrants. Last month, the Alameda City Council tabled a plan to install cameras on the city's borders with Oakland after activists pointed out that the police department and the city had no policy to bar ICE from accessing the information. And last week, Berkeley adopted the most stringent policy in the nation regarding the creation and use of surveillance technology. But one East Bay city — San Pablo — has already quietly created the most expansive surveillance system in the region and now has plans to increase it ever further. San Pablo already has numerous police-operated cameras to watch over its streets and sidewalks while microphones listen for gunshots. Sixteen stationary license plate scanners track vehicles passing through city limits. It's all monitored in real time. And under a proposal coming before the San Pablo City Council tonight, this system would add 60 new surveillance cameras and 56 new license plate scanners. If approved, the expansion would bring the city's total number of video surveillance cameras to 194. The 56 new license plate scanning cameras would replace 16 existing stationary LPR arrays. The San Pablo police also outfit their police vehicles with mobile LPR scanners. San Pablo police say the system is a crucial public safety tool. 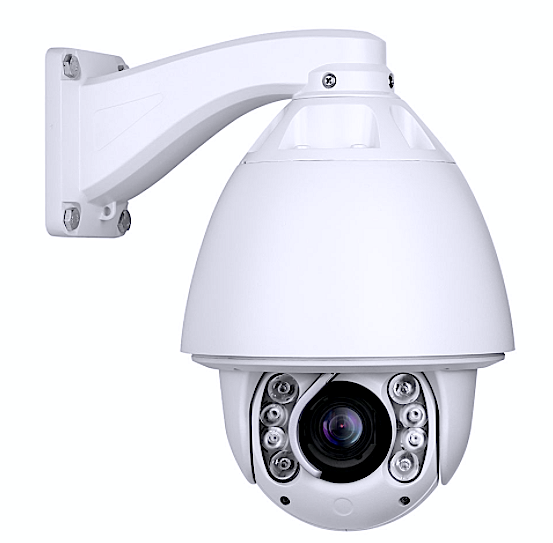 They credit technology for helping reduce shootings by 74 percent since 2011 — the year the first cameras were set up. "Like anything in law enforcement, it is a conjunction of a lot of things — community policing, technology, and police work," Lt. Brian Bubar said in an interview. "But there are specific cases in which the surveillance equipment, including LPR and Shotspotter, have solved homicides, attempted homicides, and shootings. There’s not a case, generally, where our technology doesn’t impact positively our investigations." Bubar said the department and city have received an overwhelmingly positive response to the surveillance system from residents. But Bay Area privacy advocates say the system is a form of mass surveillance that has many downsides, including the fact that it's almost impossible for anyone to travel through San Pablo without being tracked by police. For example, if the proposed expansion is approved, most major streets and intersections will be covered with license plate scanners to track cars and cameras to observe pedestrians. San Pablo police are proposing to add 56 license plate reader cameras to at least fifteen major intersections. San Pablo police agree that their surveillance system covers a lot of the public space, but they say the ubiquity of the cameras is a good thing: "We have covered a large portion of our ingress and egress," said Bubar about LPR cameras. "We want to make it known for anyone committing crimes in and around San Pablo, the likelihood is you will come across our technology, and we will gather information about you." Tracy Rosenberg, a member of the civil liberties group Oakland Privacy, said one concern about the expansion of San Pablo's surveillance system is that the new license plate scanning cameras and software will be provided by the Livermore-based company Vigilant Solutions. Vigilant Solutions has a contract with the U.S. Immigration and Customs Enforcement agency (ICE) to share license plate scan data it collects from various sources, including some police agencies. ICE uses LPR data in criminal investigations but also to arrest and deport undocumented immigrants. This could be of concern in a city like San Pablo. Almost half of San Pablo's population is foreign born, and non-citizens are estimated to comprise 8,956 of the city's total residents, or about one-third. "We use vigilant as a vendor, but we don’t share anything with immigration," said Bubar. Rosenberg criticized San Pablo's existing policy regarding the use of license plate data as "off-the-shelf" because it's a generic policy obtained through the company Lexipol. "They need a policy that is vetted with the community, with input that comes from outside the police," she said. Currently, San Pablo police can share LPR data, and other surveillance records, with outside law enforcement agencies. The city's policy gives its officers the discretion to choose what agencies they'll cooperate with. Bubar said it's all in the name of public safety. "We assist any law enforcement agency that wants to come in and use our surveillance tech in their investigations," he said.